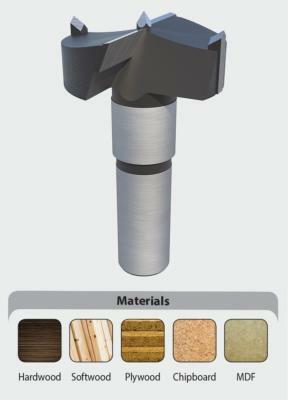 Used for cutting blind holes into MDF and Chipboard. Tungsten Carbidge edges give a long life, and it comes in a bright, black finish. Cutting blind holes into MDF and chipboard to accept cantilever door hinges.